An industry of out-of-control of egos, unrealistic expectations, and books with the shelf life of milk. This is Kate’s world, but for how long? I loved the Publicist and I loved Shelf Life. Kate is real - she had hopes, dreams, fears, and passion. Shelf Life took me more into Kate's life - the struggles of working in the publishing industry - the fears of being in love and the hardships associated with it all. Christine does an excellent job of expressing the characters wants and needs. I found Lisa to be a excellent narrator. I love being read to and Lisa did an excellent job. 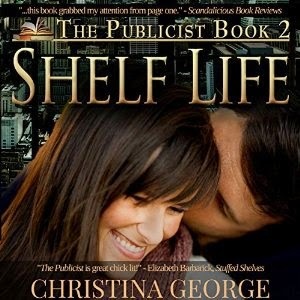 Thank you iReads for the opportunity to review this excellent romance novel The Shelf Life written by Christine George. I can relate to the fact that it's easy to move, but hard to move on. ;) I like that the character is so relatable and easy to get into. It is difficult to find books with relatable characters. I am glad you were able to find one that you liked! It sounds interesting! I am always looking for new books to read and this one sounds fun. Something with romance is a nice shift from reading kids books. I love a good romance novel. This is going on my beach reading list! This sounds like a great read! Always looking for recommendations so this will go on my list. Sounds like a good storyline. I think more people like reading about characters they can relate too. I have a friend I can pass this along too. Summer is coming and it's the best time for making a list of what I want to read while relaxing outside. I'll add this one to my list! This sounds like a great vacation book. Will add it to my endless reading list! Sounds like a great book. Definitely one that is so relatable to real life! I need to look into this book. Sounds like one I'd like. Looking for some new books to add to my reading list. This looks great, thanks! Thanks for the new books. I need to add some good books to my list for summer. Thank you so much for this review! I so loved writing the character of Kate mostly because she's flawed and she has to fall before she can learn. Thank you so much for this review and I love all the comments!! You did a good job of making this book sound appealing and worthy of picking up. Sounds like a good read for the summer. I'm adding it to my list. Sounds like a steamy read! 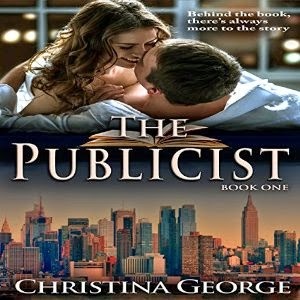 I always wanted to be a publicist... haha kind of my dream job! Sounds like a great read. I am always adding to my reading list. This will be on it now too!! I like that she is so relate-able. I find myself getting into books more when I can connect with the character. This sounds like a great book. I"ll have to get it for my mom. This does sound like a good read. I love books that draws me into the story and this sounds like one of them.